I hope this finds you well, and deep in the embrace of winter hibernation. After a challenging year of intense energies in 2017, we perhaps need this time to recuperate, nourish, and replenish our souls so that we are prepared, for when spring draws us out and calls us to move forward. Soon we’ll need to tend the seeds of growth and change—the ideas, dreams, and inspirations—that we conceived and planted within these winter months. We’ll need to tend them in order to continue nourish our garden. I, too, have been deep in my abode, staying warm and dreaming of what the New Year will bring into bloom. I realize I haven’t written an update letter in a long while, and there is much to catch you up on. Over the past two years I’ve been studying Thai Abdominal massage, which works specifically with the blood and digestive systems to promote detoxification, and like other forms of body work, it opens the way to feeling a deeper connection with your body. It also incorporates beautifully with the Maya Abdominal massage, visceral unwinding, and myofascial work I’ve been doing for many years. If you’re planning to do a detox or cleanse this year keep this work in mind, as Thai Abdominal massage will help this process in a thorough way—it encourages the organs themselves to cleanse, and so assists the detox, or cleanse, at the organ level. In 2016, my dear friend Karen Kaszmer and I were excited to lead the first Maitri Breathwork in Chicago. Since then, I’ve been looking for a larger space in which to do this beautiful healing work, and am hoping to hold another day of Maitri Breathwork this summer. If you don’t want to wait until then, I’ll be co-facilitating a breathwork with my Karen in Cleveland, Ohio, on Saturday, March 23, 2018. We’d love to see you there! Here is a link to information about Maitri Breathwork and how to register for the breathwork in Ohio. Last year, my friend Elias Patras (from Re-Awakenings) and I co-facilitated the Earth Honoring Altar apprenticeship: a four-weekend retreat series that teaches how to work with the medicine wheel and the four elements of nature as a means to engage ourselves consciously with the healing journey of our souls. This is a wonderful opportunity for those who want to actively bring mindfulness, and the practice of living consciously, into their day-to-day lives. We teach how the medicine wheel, ritual, attuning to Nature, and living in a space of gratitude for life and Nature, can greatly assist you to live consciously, approach challenges with courage and integrity, and help you connect with yourself and your own soul. We are hoping to offer this apprenticeship again in 2018. Click here above to watch a video about this program and let me know if you’re interested in joining us. I’ve continued my work in shamanic studies, and I am thrilled to announce that one of my teachers, Mateo Magee, will be holding an all-day workshop, Shamanic Mindfulness through the Mesa, on Saturday, April 28th. If you’ve ever been curious about shamanism and how it can help you in your life, then don’t miss this humble, funny, and profoundly wise teacher. Shamanic healing and spirituality have been guiding forces in both my spiritual life and my work life. Shamanism is a language of love of and for the earth and all its manifestations. Through it, I’ve learned to be open to the guidance of subtlety and this has profoundly influenced much of my work. It has allowed me to understand the subtly of the energy and emotional body and connect that with following how the body is ready to release and receive. My Birthday is in April and it has inspired me to tune into what my heart is ready and wanting to share. For me, this is about sharing more of my energy healing work. Many of you have experienced energy work within a bodywork session, and I am inviting you to explore this healing work in its own right. 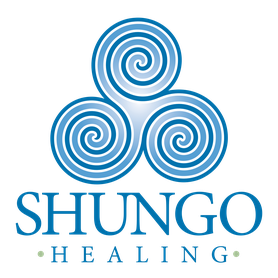 During the month of April, I’m offering the gift of 40 percent off an Energy Healing session, which is regularly $100. (So, if you book a one-hour Energy Healing session in April, it will only be $60.) Please note that this is for a clothes-on Energy Healing session—while gentle touch will be involved, there is no massage. When booking your appointment, please inform me that you are using the coupon below, and please bring the coupon with you to the session. I hope to see you soon, in this time just before spring emerges when we often find ourselves in a place where we are still tending to the parts of ourselves that need extra nourishment. Allow energy healing be a part of that nourishment. Most sessions will involve smudging, checking and balancing your chakras, and tuning into what your body is ready to release and/or call in. This can be a conscious choice or left to your highest good.